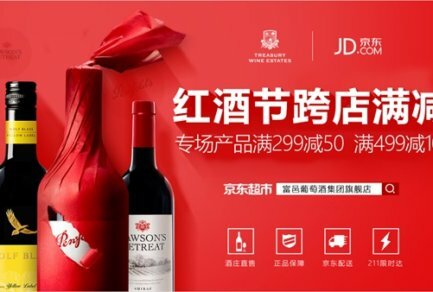 Transaction volume on JD.com reached a record high of $24.7 billion this year during the 18-day June anniversary sales event. This marked the first major “6.18” anniversary sale in which the e-commerce giant combined online, offline and virtual shopping for a ‘boundaryless retail’ experience. Tens of millions of consumers visited JD pop-up stores and experience centers around China over the 18-day sales period, sampling snack foods, testing home appliances and trying on clothes. The pop-ups gave 1,400 brands a space to showcase their products and interact with Chinese shoppers for feedback, fueling excitement for 6.18, now one of the biggest shopping events in the world. The pop-up shops, which spanned 30 cities and received over 43 million visits, boosted sales for participating brands as well. After participating, Ocean Spray Cranberries Inc. sold 400% more bags of cranberries during the sale than during the same period a month earlier. 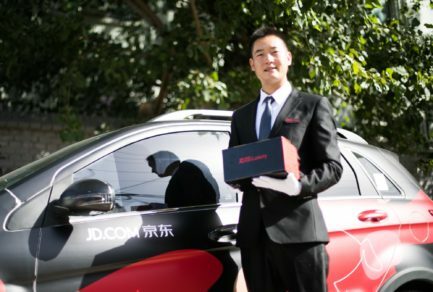 Through JD’s crowdsourced delivery affiliate JD Daojia, shoppers were also able to buy products from offline stores for delivery to their homes. Orders via JD Daojia from Walmart, JD’s strategic partner, quadrupled during the 6.18 sales period from the same period a year earlier. Sales from another JD partner, Century Mart, were seven times the amount last year. Meanwhile, JD’s augmented reality technology also provided a better experience for shoppers who chose to stay at home. Data from the sale showed 70% of consumers who purchased color lenses first used JD’s AR Styling Station, a function in the JD mobile app, to test the look on their own faces. JD sold 52,000 boxes of Johnson & Johnson’s 1 Day Acuvue Moist lenses in only one day of the sale. The mix of new online, offline and virtual shopping experiences are part of JD’s broader strategy to leverage its smart supply chain and advanced technologies to build a sustainable future for the retail industry. They complemented another booming sales period for JD, as products including giant TVs, mattresses, designer jeans and fresh crabs sold in record numbers—with many selling out just minutes after the sale began. With more than 300 million customers, JD is China’s largest retailer, online or offline, and has already changed shopping habits in the world’s most populous country. It is the only e-commerce company in the world to operate a nationwide logistics network in-house, which can deliver over 90% of orders on the same or next day—including during this year’s sale, despite the massive increase in order volume. Following its recent international expansion, JD also worked with over 110 warehouses outside of China during this year’s sale.